It’s where you never skip breakfast. Lunch is more delicious and ambitious. And dinner is done just right — all with perfect timing. That’s amazing. That’s Kenmore. 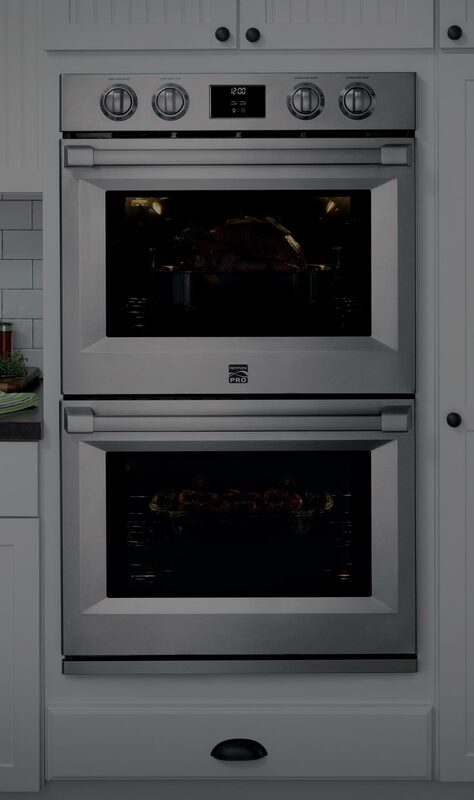 Best of Year, Editors’ Choice — take a look at the long list of Kenmore ranges, Kenmore wall ovens and Kenmore cooktops getting kudos from the third-party experts at Reviewed.com. True Convection features a fan and a hidden third heating element that distributes heated air evenly for uniform cooking and more flexibility. Dishes get even cooking regardless of rack — even with multiple dishes. Heat multiple items to perfection without rotating shelves. When schedules change, dinnertime doesn’t have to with the ultra fast boiling. Learn how Turbo Boil® helps speed things up. Boil liquids in less time so you can eat sooner. Cut prep time for pasta, hard-boiled eggs and soup. Accela Heat™ Technology gets you up to temp fast to cook pizza, pies and frozen biscuits and more on your schedule. Cut prep time and increase your options without waiting to preheat. Keep up with the Joneses and feed them too. 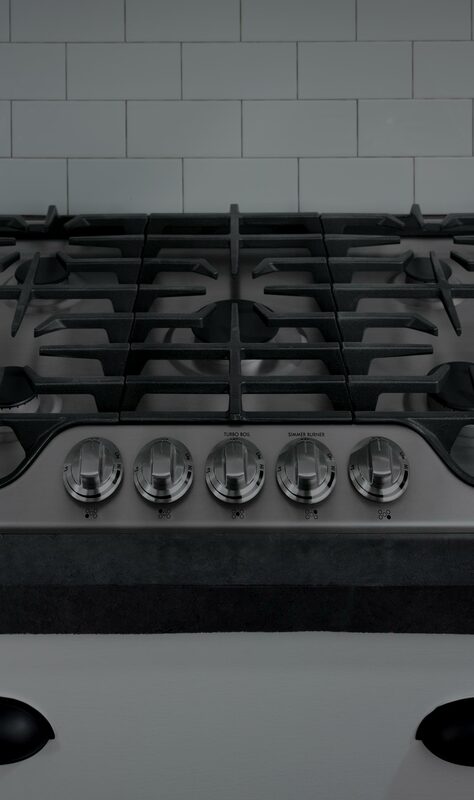 Kenmore ranges come with capacity up to 6.4 cu. ft. so you can cook amazing amounts of food when you need to. Cook a turkey and large roast at once with room to spare. Eating in? Fix dinner and dessert at the same time on different racks. Broil, bake, steam — it’s up to you. Simply fill a water reservoir and the Steam Bake rack adds extra moisture inside the oven for enhanced cooking and delicious results. Steam veggies, breads, desserts and fish to perfection. Steam Bake saves you from making a water bath for certain foods. Gas, electric, dual fuel. Freestanding, slide‑in, drop‑in. Find a range that fits your kitchen and cooking perfectly. Choose gas or electric. Browse features. And see what gives Kenmore faster preheating and more even baking. 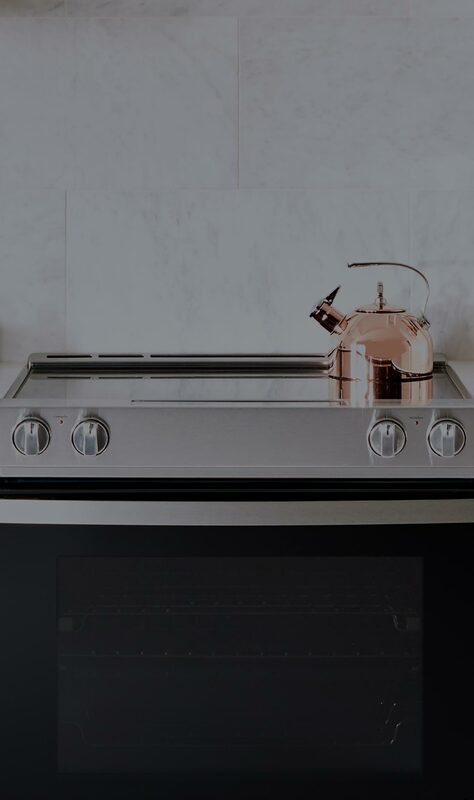 Complement your oven with a gas or electric cooktop and discover the fastest boil, precision cooking, and downdraft technology — all packaged with intuitive design and style. For more than 100 years, Kenmore has lived and breathed appliances. Read more on how the Amazing world of Kenmore makes life that much better. *On convenience foods such as thin-crust frozen pizzas, fish sticks and corndogs vs. standard pre-heating and baking without Accela Heat™.